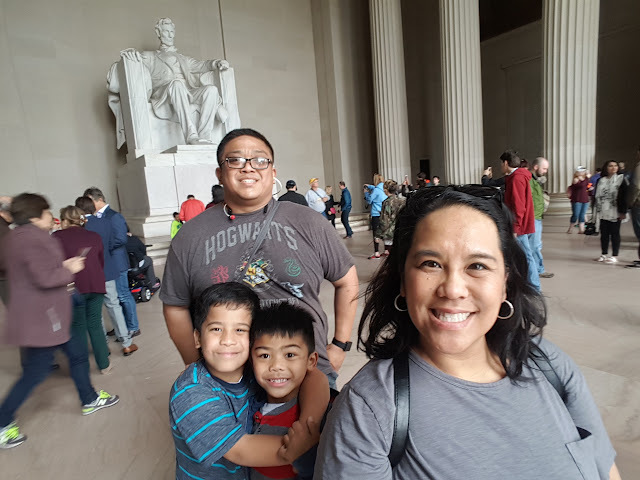 Garcia Family just got back from a wonderful trip to Washington DC! I am super excited to share our adventures with you over the next few weeks here on my blog! 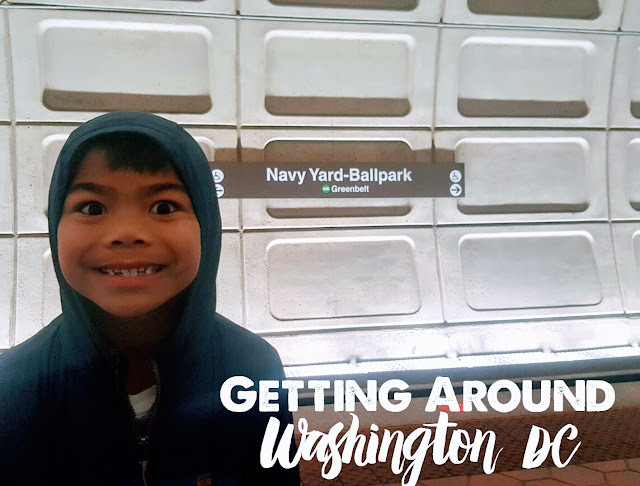 But first, let's talk about getting around Washington DC! 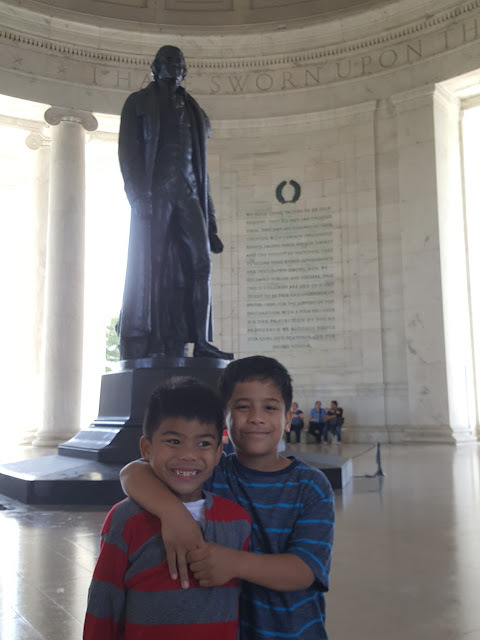 Our trip to Washington DC was one of many "firsts" for my kids. We had a few "firsts" when it came to transportation. Our boys took their first red-eye flight on this trip. They slept the entire flight and was surprised with how "fast" we got to D.C. Once we arrived they were rested and ready to see the city. Another first was being on a "subway" system. 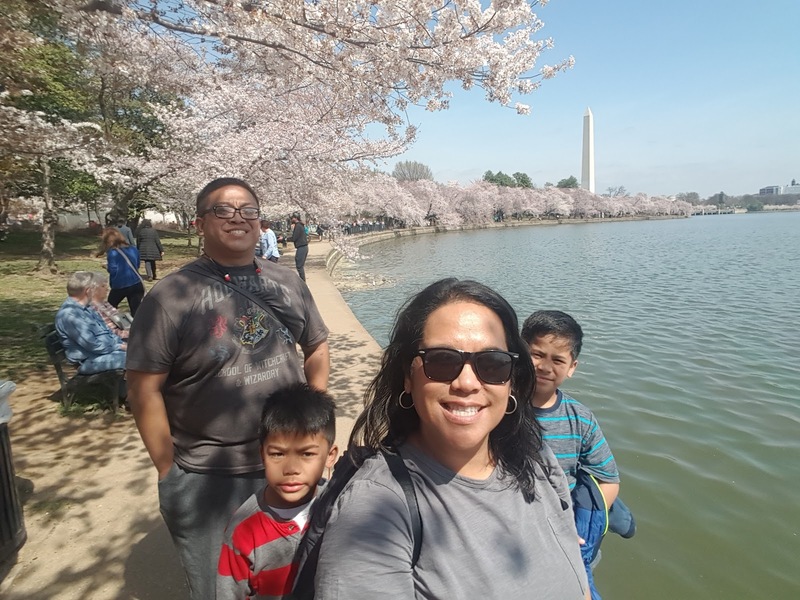 The experience of being on the DC Metro was a great experience for my kids since this mode of transportation is not the usual for us in San Diego. Truth be told, the best way to see Washington DC is on foot. We did our most walking on our first day and I logged 8 miles on my Fitbit! We did the monuments and the Tidal Basin all on foot. 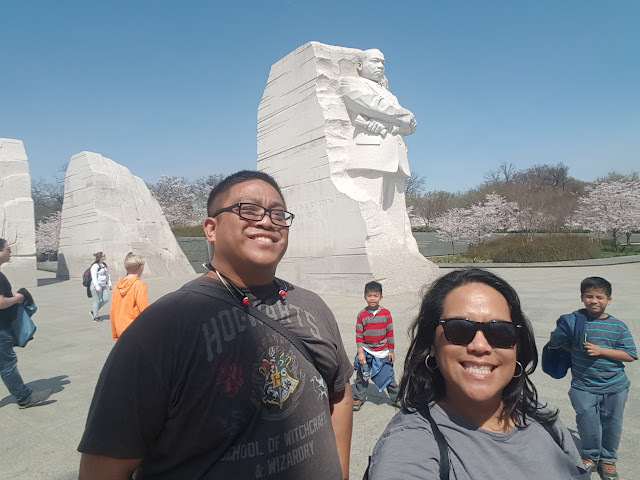 It was great to see all the sights but our feet (and hubby's back) paid for it at the end of our first day. 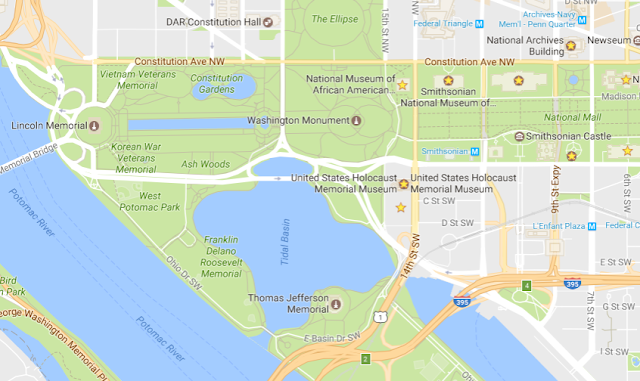 When your feet are tired, there are lots of options to ride your way through DC. Washington DC is super easy to get around with public transportation. This is a much better option than renting a car since parking is expensive and hard to come by. Not to mention traffic is horrible, especially during peak times. In planning for our trip, I wanted to have a hotel near a Metro stop to make the trips "home" each day easy since I know we'd be super tired after a full day of sightseeing. We stayed at the Hilton Homewood Suites in the Navy Yard area near the Nationals baseball stadium and the Department of Transportation. It was on the Navy Yard stop on the Green Line. It was a perfect spot, close to a CVS and a few restaurants. We were just three stops away from the Smithsonian Metro stop which is about the middle of the National Mall. 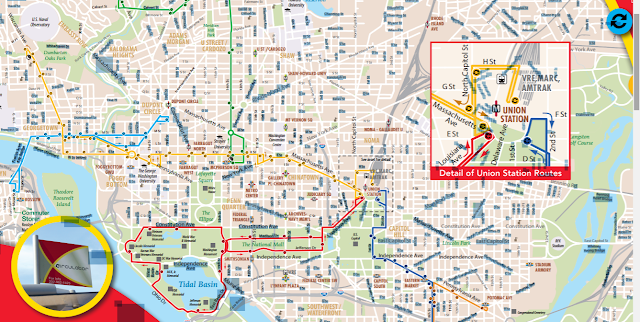 The DC Circulator is also a great option to use in conjunction with the Metro. 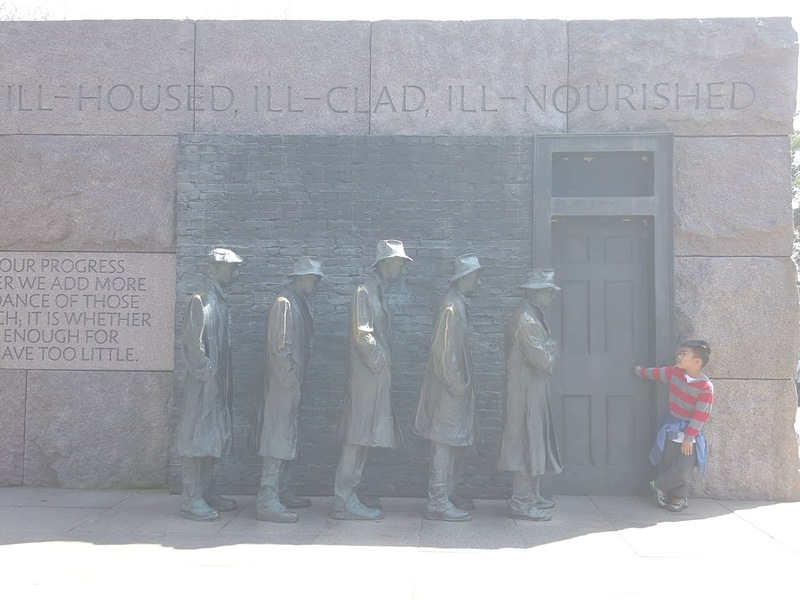 The DC Circulator stops at the monuments and museums, as well as other key spots of interest. It's a great way to sight see with a hop on and off option. 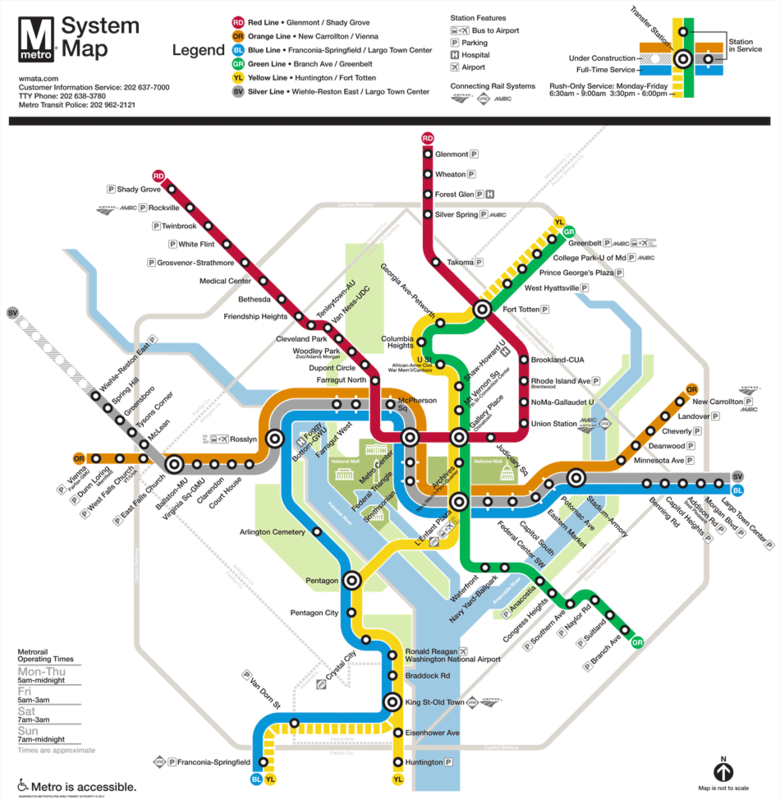 There are lots of Circulator stops in between the Metro stations. A SmarTrip card is what you will use to get on and off the Metro. 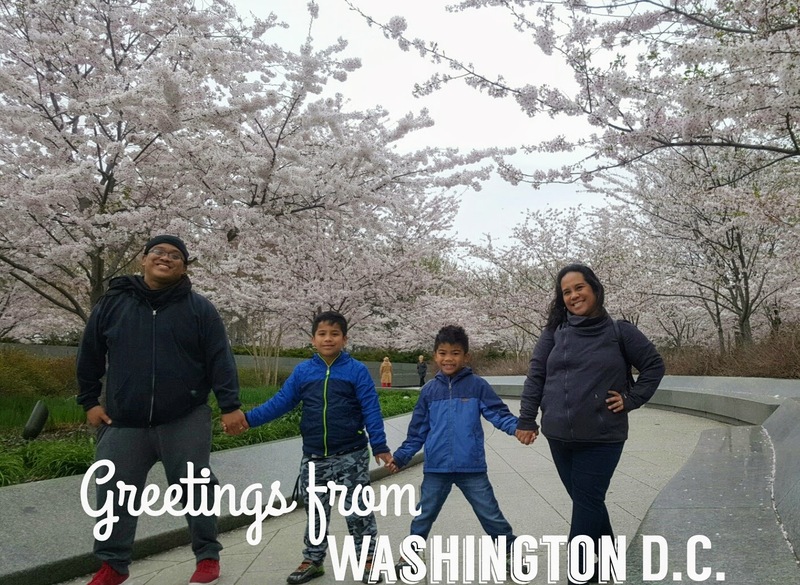 We purchased a SmarTrip card at the Metro station. There are machines at the entrance of each Metro stop where you can purchase the cards and reload them as well. We put $40 on each card for each of us. Each ride on the Metro cost us about $3.60 to and from our hotel to a point of interest. Each ride on the DC Circulator costs $1. You can use the SmarTrip card on both the Metro and the Circulator. 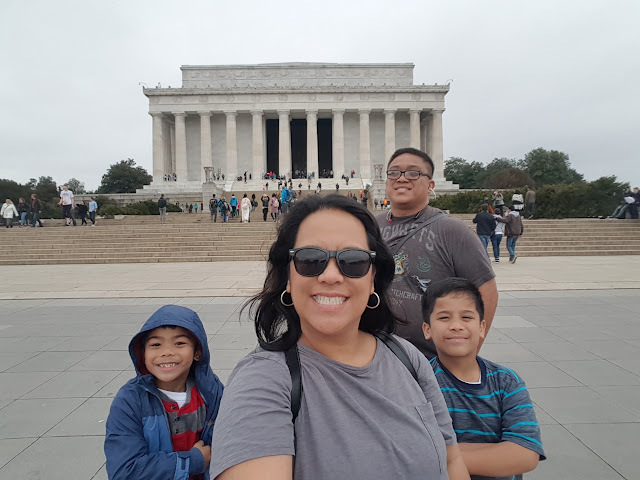 We each spent about $10 on transportation each day between the Metro and DC Circulator. If you plan to stay for a week, there are other passes that might be more cost efficient. When we visited spots a bit further away from the Metro and Circulator stops, there were many taxis to be found. Look for red taxis, not your typical yellow taxis. The red taxis are abundant but are the more costly option to get around. Uber and Lyft are also great ways to get from point A and B. There are also a few other "hop on and hop off" buses that service all the sights. Visit Groupon for some deals as well. 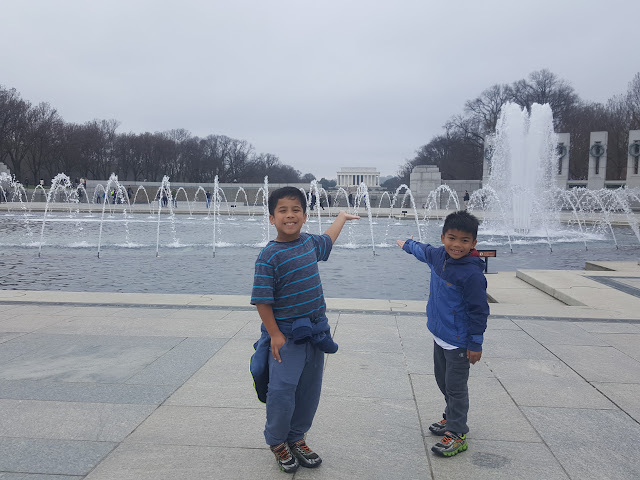 For us, we primarily used the Metro and the DC Circulator to get around. 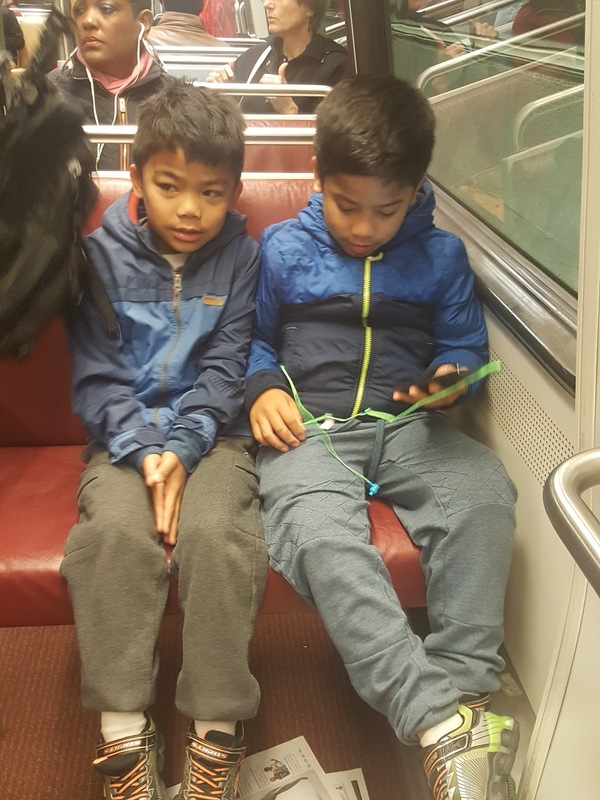 My kids loved the experience of being on public transportation. Stay on the right when on the stairs and escalators. Especially during peak times, people run up and down the stairs and escalators to get on the Metro on time. A few people are not shy about telling you to get out of their way. When getting on the Metro, let people get off first. When the Metro arrives, it's OK to wait at the doors to get in but leave space to let people off. Once everyone has gotten off, then you can get on. When touching your SmarTrip card on the turnstiles to get in and out of the Metro station, make sure the light turns green to indicate the turnstile read your card. If you follow the person in front of you too quickly, the turnstile might not read your card. If this is the case, you won't be able to get in or out of the station at your next stop. If this happens, there are Metro attendants at each Metro exit/entrance to help you. It was definitely a different experience for my kids riding on the Metro. 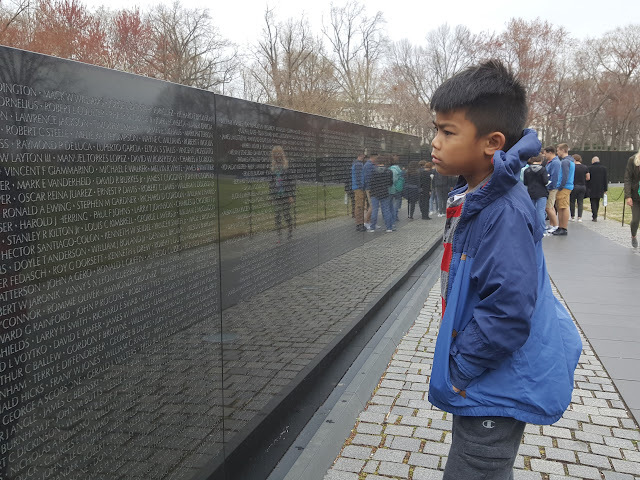 It was very different from my boys having mom and dad drive everywhere we go. 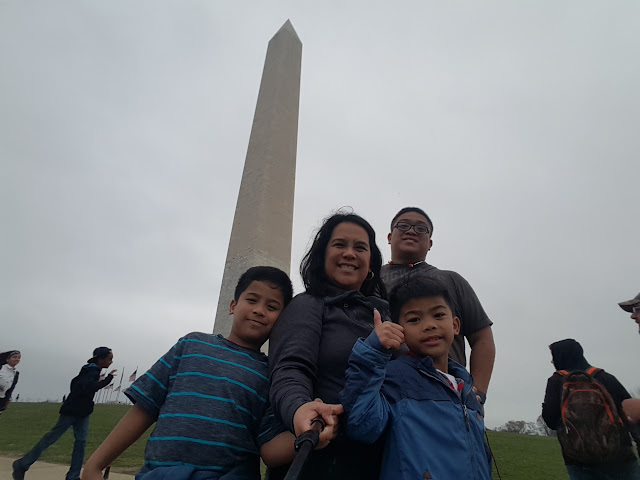 Follow me on Facebook to get updates on my upcoming posts about the other fun we had during our trip to Washington DC.